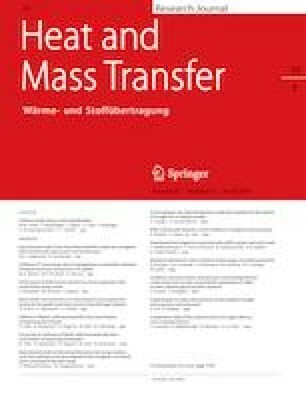 The aim of this study was to determine the drying characteristics, effective moisture diffusivity, colour, sensory properties and in-vitro bioaccessibility of phenolics and antioxidant capacity of blackthorn pestils dried with three different methods; hot air (60 and 70 °C), vacuum (60 and 70 °C with 20 and 30 kPa) and microwave (90 and 180 W) drying. Seven drying models were applied to the experimental data for the achievement of the most suitable thin layer model for drying curves. Depending on the statistical tests, The Page, Modified Page, Henderson and Pabis and Logarithmic models were found to be the most appropriate models to provide the drying characteristics of blackthorn pestils. Effective moisture diffusivity values obtained from Fick’s diffusion model were between 5.55 × 10−8 and 8.13 × 10−7 m2/s for vacuum drying at 60 °C–30 kPa and microwave drying at 180 W respectively. The colour values, a*, b*, Cab* and h° decreased while L* increased after drying. As a result of drying processes, total phenolic content and antioxidant capacity (DPPH, FRAP) of undigested and simulated gastric and intestinal digested samples showed a decrement compared to paste mixture.. After the simulated intestinal digestion the amount of total phenolic content and antioxidant capacity (DPPH, FRAP, CUPRAC) were increased significantly (p < 0.05). In conclusion, different drying methods affected the bioactive content and for sensorial analyses, hot air and vacuum dried samples were accepted by the panellists.